As we experience unprecedented access to archive material through online platforms and archive based productions, it is tempting to think that the appreciation of archive film and television material as a historical object in and of itself is a contemporary popular development. The growth of television archives within national institutions and broadcasting companies in the last thirty years, and the large number of missing programmes from earlier decades, seems to confirm the idea that television in the 1950s and 1960s was viewed and experienced as ephemeral. It is unusual then, to find a series devoted to archive television in the BBC2 Saturday night schedule in the mid 1960s. Plunder was billed as “a weekly raid on the BBC archives” and ran as part of the discussion series Late Night Line-Up from 1965–67. Largely showing excerpts from pre-1955 programmes, the series invited viewers to enjoy what presenter Michell Raper called ‘the vanished joys of television’ including interviews with notable figures and more formal fixtures of early television such as ‘interlude films’. This article will detail the use of archive footage within the series and consider the programme’s production and reception. Described in the BBC radio and television listings magazine Radio Times as a “weekly raid on the archives of BBC television”, Plunder began in 1965 as a short series following on from the arts magazine programme Late Night Line-Up (1964–1972) on BBC2. Where Late Night Line-Up featured reviews, lively discussions and debates around contemporary arts including current television programming, Plunder originally appeared as part of the programme on Saturday nights with a nostalgic view of television’s bygone days. Featuring clips from interviews, news events and programmes from around a decade earlier, Plunder fostered affection for repeats at a time when they were not common enough to be unwelcome. The programme evolved both in scheduling and formatting over the course of approximately sixty episodes produced over two years, and this article will explore how archive material was used in the series and how the concept of ‘the archive’ was extended by producer and presenter Michell Raper to include reminiscences and recreations as substitutes for archive footage. The origins of Plunder lie in Late Night Line-Up which, owing to its scheduling at the end of the evening’s programmes, had a rather more flexible structure than primetime series which had rigid running times. It was also broadcast on the relatively new channel BBC2 which, having launched in April 1964, did not yet have full UK broadcast coverage. The nightly scheduling of the series also meant that there was more airtime to fill. By the time Plunder began showing in 1965 Late Night Line-Up was also home to Philip Jenkinson’s Film Requests spot, in which film expert Jenkinson showed excerpts, often from his own collection, at the request of viewers. Clips varied from the Marx Brothers to Ken Russell’s Amelia and the Angel, and viewers were encouraged to write in with films they would like to see, so that the series acted as a kind of filmic jukebox at a time long before home video or video on demand. Plunder was also open to viewer correspondence but an invitation was extended for viewers’ reminiscences of television programmes and personalities, presumably because specific footage requests would be hard to meet. With its focus on cultural commentary, especially the role of television, for Late Night Line-Up to establish an historical perspective on programming seems like a natural progression. In retrospect, some of the gentle nostalgic features of Plunder juxtapose uneasily with the dynamic discussions of Late Night Line-Up and perhaps this is why Plunder was moved from its late night home for a period to an early Saturday evening slot of its own. Likewise, it could be that the creative use of archive material and a fond look at BBC production history was felt to be of interest to a wider audience and promoted accordingly. Beginning in October 1965, Plunder was a regular feature of Late Night Line-Up. The first edition contained an extract of Orson Welles’ Sketchbook with Welles telling a story, Edward R Murrow and Malcolm Muggeridge discussing the art of interviewing, and an interview from In Town Tonight with athlete Roger Bannister. With Welles’ Sketchbook and In Town Tonight having aired around ten years previously, Plunder began as a programme in which television lived in the past, but specifically in its recent past, owing to constraints on the amount of archive material available and the lack of recorded footage of many of the televisual tropes the programme wished to celebrate. Plunder presenter Michell Raper would find creative ways around this problem but the type of archive material represented in the series was still selected carefully. 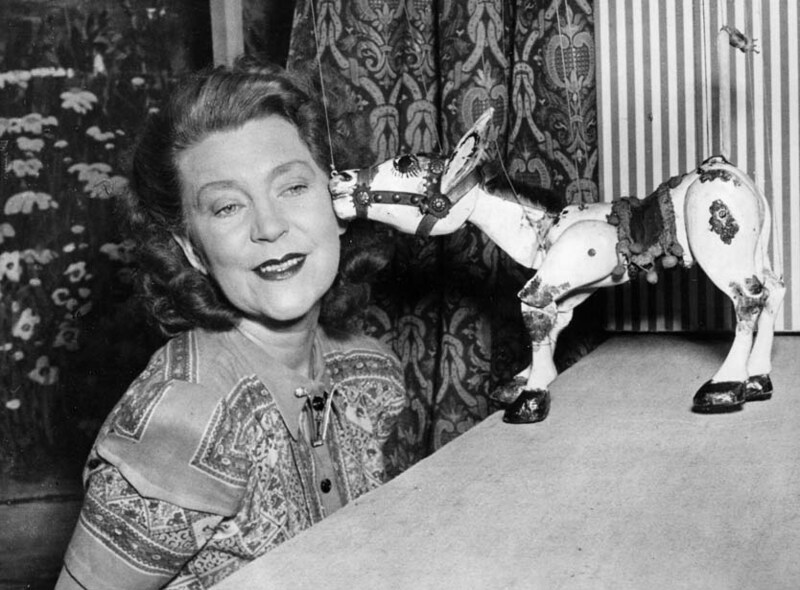 News extracts, interviews, current affairs and musical interludes all featured in the series but programmes could be grouped around a theme, such as a March 1966 edition on Children’s Television of the 1950s which contained clips from Muffin the Mule (photo 1) and Children’s Newsreel. On 30th October 1965 the series went with an eerie theme for Halloween, with a story from ‘weird fiction’ author Algernon Blackwood and an excerpt from The Secret Arts, a factual programme from 1955 featuring interviews with people who had supernatural experiences. A special edition in December 1965 turned the nostalgic format back on Late Night Line-Up itself with footage from previous editions and the Christmas 1966 edition returned to childhood as a theme. With a studio format in which Raper introduced the clips and also appeared to watch them simultaneously on a television set in the studio, Plunder set up a programme within a programme where, unlike Late Night Line-Up, clips were not being watched for critical assessment but simply for enjoyment. In the six week preparation period before broadcast, Raper and the programme’s research assistant Betty R. White often contacted people who would be featured in forthcoming editions, frequently describing the programme as “a sort of weekly scrapbook of BBC archive material”.2 Personalities were notified that footage of them was being repeated and they were encouraged to tune in to the broadcast. Unfortunately, the somewhat patchy reception of BBC2 at this time meant that this wasn’t always possible. The series featured an opening sequence, which showed the title ‘Plunder’ encircling the BBC mast at Alexandra Palace, and with this it couched itself in the iconography of broadcasting history from the start. Unfortunately for a programme which attempted to ‘raid the archives’ in a period when much programming was not being archived, the resources required to present a fuller picture of television history were in scant supply. At a time when ideas around the medium of television were being discussed (often on Late Night Line-Up) and the language of television was still evolving, Plunder set itself the unusual task of celebrating aspects of television which were already bygone. 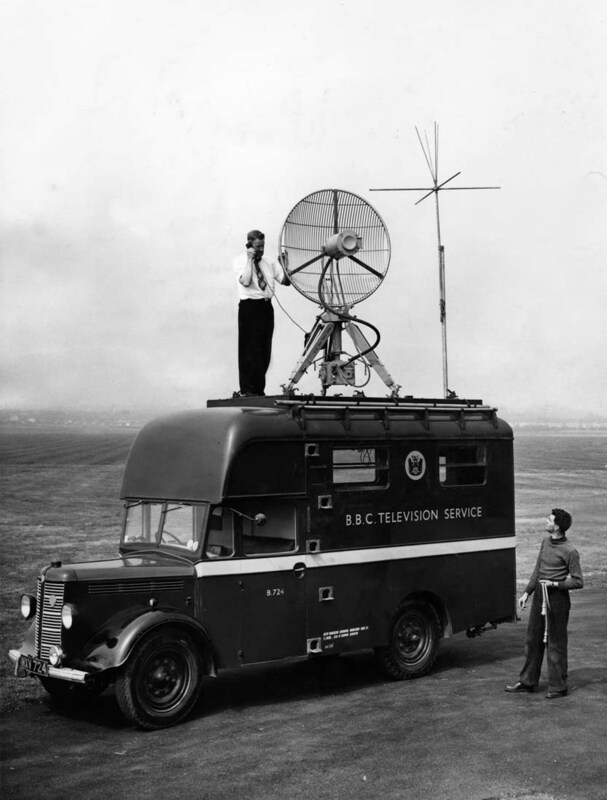 Additionally, Plunder did not restrict itself only to television, occasionally venturing into radio and often blurring the lines between the media in a way which would have been familiar to audiences used to both personalities and programmes formats appearing on both BBC television and radio. Raper creatively circumvented the lack of archive material by interviewing people who had worked in television and inviting them to share their reminiscences on the programme, and by staging various recreations. One such recreation, which Raper cited as “one of the vanished joys of television” was the interlude film, a soothing interstitial employed when there was a broadcasting problem or a gap between programmes. Plunder’s editor put together some landscape scenes with music for the occasion and the result lasted nearly four minutes at the top of the programme. This edition in May 1966 also recreated the popular radio series Appointment with Fear starring character actor Valentine Dyall as the Man in Black. Original cast members were employed to perform an extract of a play for the show, which Raper described in the programme as a “kind of radio production with pictures and sound effects”. The result was very effective as a reunion and a celebration of both a format and mode of ghostly storytelling at which radio still excels. Technical achievements were also noted in a special edition focusing on the history of outside broadcasts with a panel of former OB broadcasters and production staff (photo 2). With other editions presenting musical performances, such as a celebration of the heyday of skiffle, the series evolved into an appreciation for many forms of broadcasting and entertainment, with nostalgia being the primary concern. While archive footage was usually employed with only appreciative comment or fond remembrance, on one occasion Plunder excelled with its mixture of telerecorded material, studio interview and edited extracts, in an entire fifty minute edition devoted to BBC presenter and personality Gilbert Harding (tx. 23rd January 1966). Despite, or perhaps because of, his irascible persona, Harding had been a well-loved broadcaster and one of the most famous faces in Britain at the time of his death in November 1960. In September of that year, an edition of the interview series Face to Face (1959–1962) was broadcast with Harding in the interviewee’s seat facing questions from interviewer John Freeman. The programme is regarded as one of the ‘greatest television interviews of all time’. It is certainly very memorable for the visible discomfort and emotion displayed by Harding at Freeman’s intensely personal questions. The Plunder tribute featured Michell Raper in discussion with Lionel Hale, a fellow broadcaster and friend of Harding, whose disgust at what he calls the ‘infamous’ Face to Face interview is evident. This interview, combined with clips from programmes featuring Harding including One Thing and Another (1956) and What’s My Line (1951–1962) act as a kind of rebuke to the lasting impression of Harding left by Face to Face. Indeed, while extracts of the famous interview are shown in the tribute, they are edited in such a way that their meaning is altered. 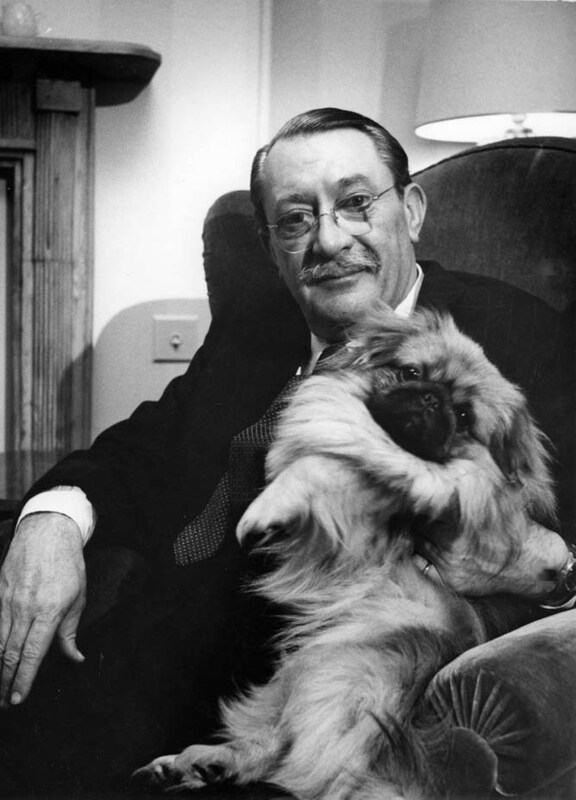 Where the original programme cuts between Harding and his interviewer, leaving little space to pause, Plunder cross cuts the archive extracts with Lionel Hale sitting in the Plunder studio. For an instant it appears that Harding is being interviewed in the past by his friend in the present, but Hale’s disheartened expression acts as a comment on the interview, in a rare example of Plunder’s backward look as being anything but affectionate. The portrait rounds off with various filmed tributes from Harding’s friends, including John Betjeman. This edition of the programme received notes of praise from BBC2 controller David Attenborough and Controller of Television Programmes Huw Wheldon. It is evident that for Harding’s friends at the BBC, this Plunder tribute went some way to righting the wrong exercised by the Face to Face interview, occurring as it did only months before Harding’s untimely death. As Sir Compton Mackenzie comments with great affection in the final clip used in the programme, “Gilbert will live in the records of the BBC”. Towards the end of the programme Plunder featured extracts of Pathé newsreels and a clip of Radio Parade of 1935 borrowed from the BFI. Judging from this change in content it appears that the programme may simply have run out of usable material for the format. In total the series ran for around sixty five episodes between 1965 and 1967. Plunder, as a title and a concept, was revived by the BBC from 1991–1993 with celebrity guests being invited to select archive clips for an early afternoon slot on BBC2 presented by broadcaster Emma Freud. By this point there was certainly enough material to sustain the series but the format itself became more biographical about its celebrity guests and less about the history of television. For his recreations of the bygone days of broadcasting, Michell Raper made several telerecording requests to the BBC film library so that his efforts to gather personalities and memories would be preserved for posterity. Thanks to this, several editions of Plunder survive in the BBC archive and they would undoubtedly be of great interest to scholars of British television if made available. Plunder’s pledge to be “a backward look at the future”4 now makes it an archive curio in itself and it has earned its space on the shelves along with all the programmes it cherished. Lisa Kerrigan joined the BFI as a television curator in 2008, having previously worked for the British Universities Film and Video Council and at the BBC, where she catalogued Radio 4 news and current affairs. She selects television programmes for preservation in the BFI National Archive and assists with BFI projects as well as writing for BFI DVD booklets, the Mediatheques and the BFI website. She is currently working on Visions of Change: the evolution of the British TV Documentary, a season of television documentaries from the 1950s and 1960s which will be accompanied by DVD releases. She has presented papers on archival television at a number of academic conferences and is also one of the organisers of Home Movie Day London.